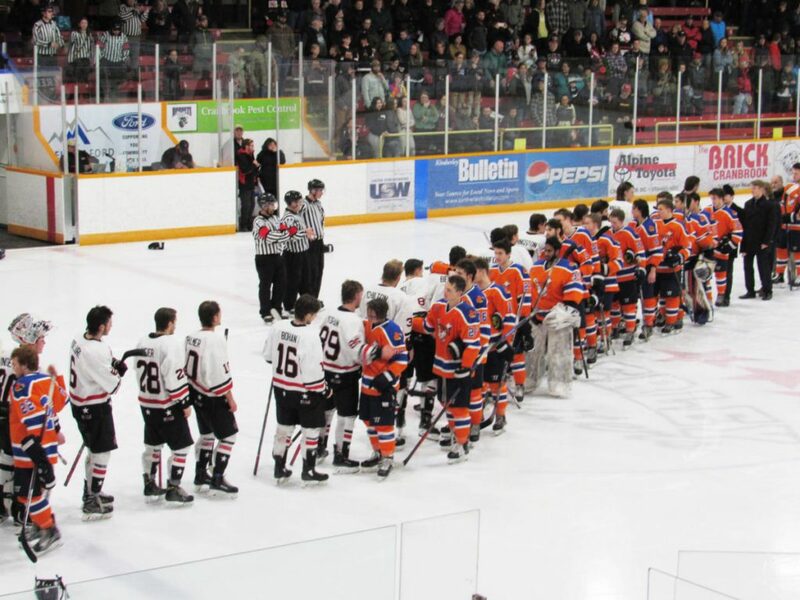 Bradley Ross scored the game winner and Saran Virdee stopped 32 shots in the Beaver Valley net, as the Nitehawks wrapped up their regular-season home schedule on Saturday with a 5-1 win over the Columbia Valley Rockies. Ross tipped in a point shot from Quaid Anderson at 14:03 of the second period to put the Hawks up 2-0 on the way to their 24th win and 23rd consecutive winning season. The last time the Nitehawks had a losing record was in 1995-96 when they finished with a 14-27-1 record. Nolan Corrado opened the scoring on the power play 88 seconds into the first period with assists to Anderson and Nathan Ingram. After Ross put the the Hawks up 2-0, B.V. tallied another power-play goal, when Kody Stewart hit Michael Hagen with a pass down low and Hagen setup Ryan Crisalli at the side of the net for a 3-0 lead with 2:34 remaining in the middle frame. Morgan Peace made it 4-0 at 13:18 of the third period with Stewart and Kevin Duguid getting the helpers. The Rockies Connor Davison spoiled Virdee’s shut out bid with just 2:15 to play, but Hawks’ AP and Fruitvale native Austin McKenzie scored into an empty net for the 5-1 final. The 24-17-3-2 Nitehawks solidified the second seed in the Neil Murdoch Division, however, Grand Forks and Spokane are battling for the third and fourth seed with the Border Bruins currently leading the Braves by just one point. B.V. has three games remaining but all on the road this weekend, with one very crucial playoff match up against the Spokane Braves on Sunday. 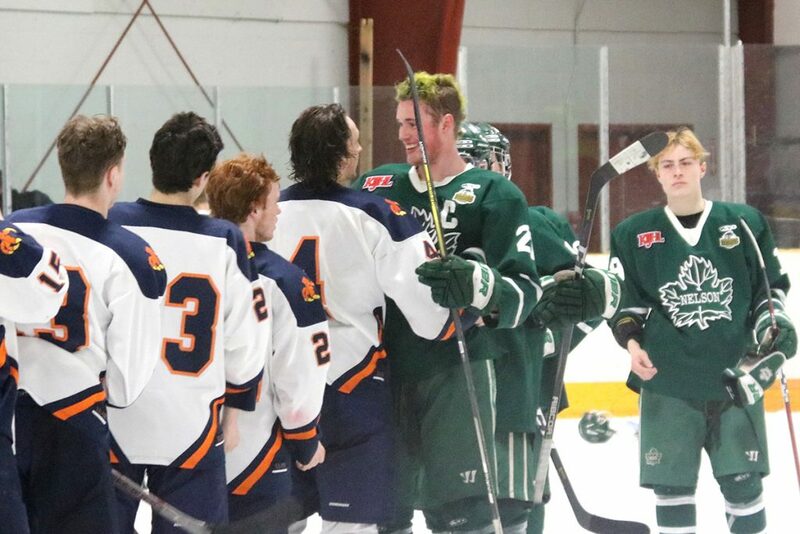 The Braves fell out of third spot, following three straight wins by the Bruins, and a Braves 3-2 loss to the division-leading Nelson Leafs on Saturday. Neither the Bruins nor the Braves have it easy in their last weekend, as Grand Forks faces the Leafs in their final game on Friday, and Spokane finishes its season against Nelson on Saturday and Beaver Valley, Sunday. The Hawks have a 3-2 record against the Braves, and finished their six-game series with the Border Bruins at 3-3, so either team will be a challenge in the first round. Beaver Valley limped down the stretch with injuries plaguing the team once again, but played well Saturday with APs Dayton Nelson, McKenzie, Jaxson Waterstreet, and Gavin Damstrom filling in the gaps. The Hawks’ Angus Amadio, Jake Yuris, Jesse Ihas, Virdee, Luke Recchi and Paul Leroux all missed time due to injury this month, but with second spot secured, B.V. will again ice a full complement of affiliate players over the three-game weekend. 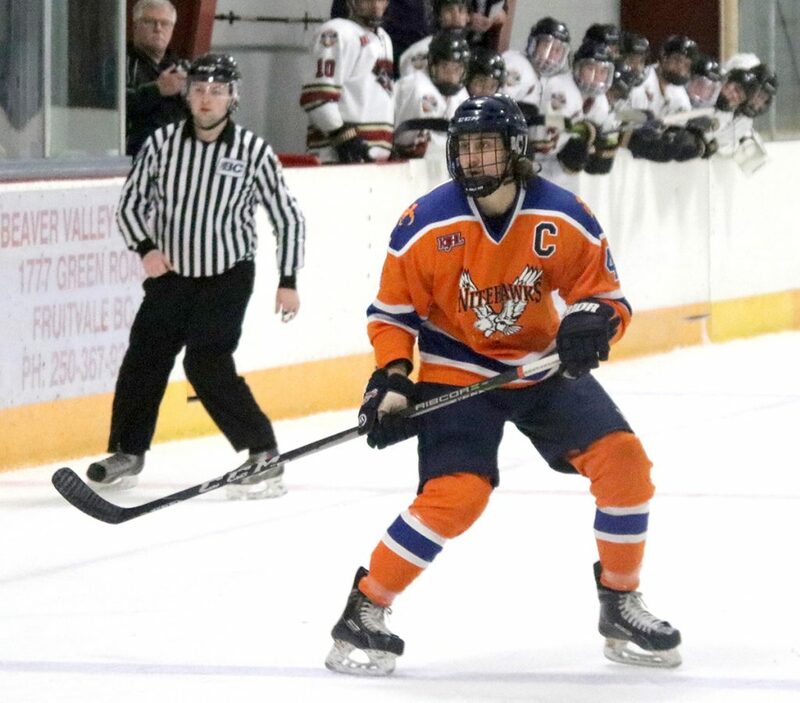 “A one-game weekend this past weekend, and this next weekend were hoping that with the help of some APs playing, our guys can only play a max of two games on the weekend, where we play three to finish, so look forward to building and getting ready for playoffs,” said Jones. The Nitehawks outshot the Rockies 37-33 and went 2-for-6 on the power play and a perfect 0-for-5 on the penalty kill. Anderson had three assists for the Hawks, while Stewart, Ingram, and Corrado pitched in with two points each. The Rockies are in third place in the Eddie Mountain Division, just one point up on the Golden Rockets with two games remaining. 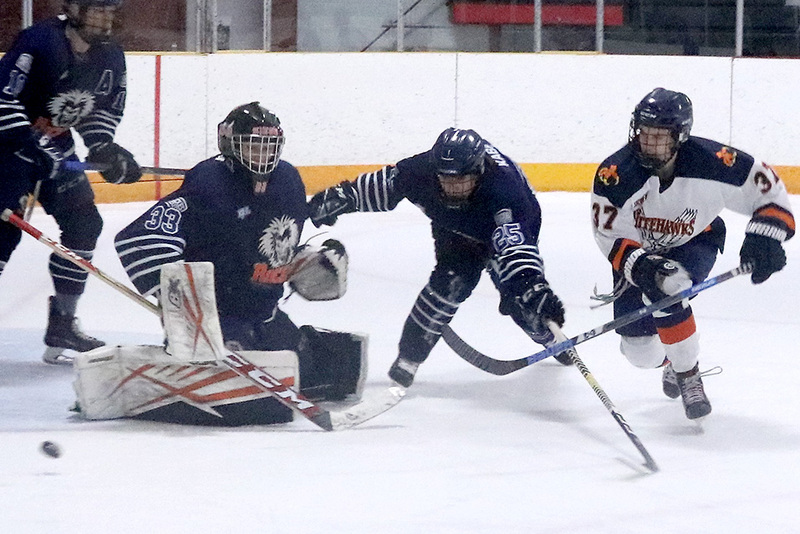 The fourth-seed will play the first-place Kimberley Dynamiters, a team that has 41 wins and only four losses in regulation this year, while the third-seed faces the 25-15-3-4 Fernie Ghostriders. 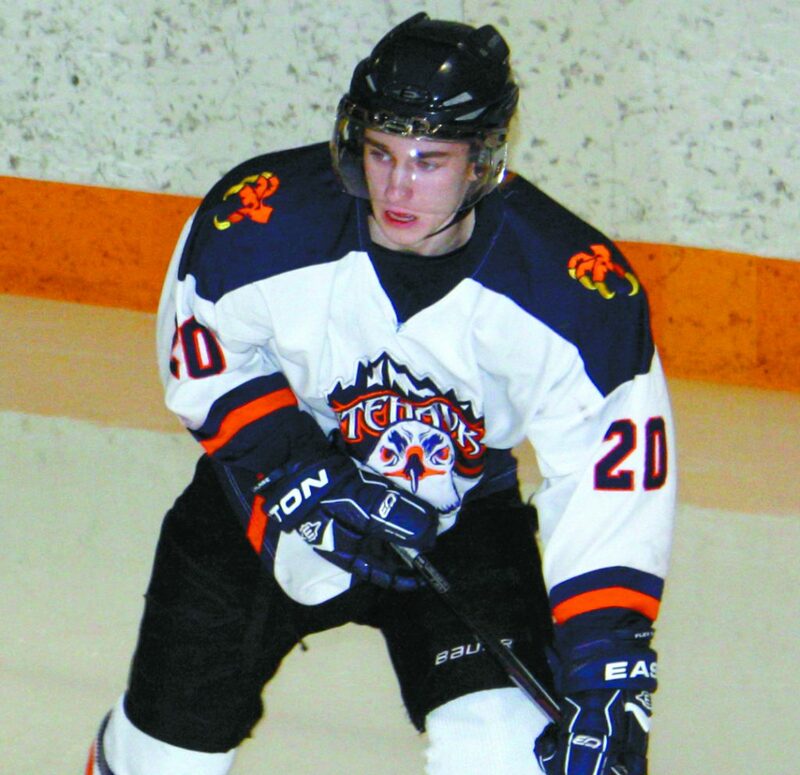 Beaver Valley battles the Rebels in Castlegar on Friday night, then travels to Creston for a game against the Thunder Cats Saturday, before finishing the season with a tilt in Spokane versus the Braves.